Dr. Kevin Robertson also known as Doctari, was appointed to head up the Southern African Wildlife College’s Sustainable Use and Field Guiding department on 1 March 2014. And what an amazing four years it’s been! Sadly as they say all good things must come to an end. On 13 July 2018, Kevin travelled to the United States, where he will in future be located to be closer to his daughters and to get involved in some exciting wildlife work and breeding projects taking place in Texas. Kevin will however be back on site next month (September), still doing work for us, as his contract with us ends officially on 30 September 2018. We sure are going to miss our very own “dagga bull” – although it must be said, we have yet to see him charge! We will no longer be regaled by the most interesting of stories about his life and work, and of course his favourite animal, the buffalo. We are however really fortunate to have had him with us for the past four years and that our affiliation with the Doc will still continue. “Thank you for all you have given to the College over the past four years. Although you are nearing ‘retirement’ as you tell me, your dedication, energy and enthusiasm is unmatched by most people. We will miss you! We wish you all the luck and happiness in the world with your new adventure. I know you will still be affiliated with us, and for that I am extremely grateful,” Theresa Sowry, SAWC CEO. “Kevin’s energy and eagerness to part knowledge is what stuck with me throughout the four years I worked with him. Students and lecturers alike learned from him. His humbleness is remarkable. I think of him as a mentor, and inspiration. No doubt he will be a massive asset wherever he works,” Pieter Nel, Senior Trainer – Sustainable Use and Field Guiding Department. “There is so much to say about Kevin. It’s difficult to know where to begin. His sense of humour and his naughty smile have always been enough cause for engagement. His presence, his willingness to always go the extra mile for anyone, to drive for bush dinners at a moment’s notice, and even to assist employees (me) with the necessary rabies vaccine injections when needed. He was willing to sign off inoculations annually, and assist with emergencies, not only for the K9 unit in which he took a keen interest but also for the residents with dogs on site. He arranged camp outs for donors, got involved in rhino captures to ensure notching, chipping and DNS sampling was done and at the same time managed and ran the Sustainable Use and Field Guiding unit, which he transformed during the four years he has been with the College – a powerhouse indeed,” Lesley Greyling Manager – HR Department. A little background on the man we will so miss…. Dr. Kevin Robertson is a recognized expert in African wildlife management, bringing four decades of experience in multiple disciplines of Wildlife conservation. A qualified veterinarian from the University of Pretoria’s prestigious Onderstepoort Veterinary faculty, Kevin “Doctari” Robertson is the author of multiple books that provide in depth insight into all aspects of ethical wildlife utilization. Kevin’s early career focused on establishing a rural veterinary practice in the northwestern Mashonaland region of Zimbabwe, while also managing a large Beefmaster cattle herd. This experience provided insights on both wildlife and livestock management. In the mid 80’s, Kevin purchased a commercial farm in the Karoi farming area of Zimbabwe, successfully growing tobacco, maize and legume reinforced pastures. Being close to the well-known Zambezi Valley and the wonderful array of wildlife that inhabits this pristine and remote part of Africa, a small resident herd of only six naturally occurring sable antelope were discovered on Kevin’s new farm. Over the subsequent 15 years, thanks to careful management and protection their number multiplied to 120. This was the start of Kevin’s passion for all aspects of habitat and wildlife conservation, which lead to the creation of a ‘wildlife area’ on his farm in turn attracting other naturally occurring species like waterbuck, impala, bushbuck and warthogs. 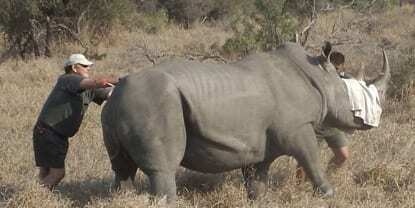 Wildlife and the environment in which they roam requires careful management, resulting in Kevin taking his Zimbabwean Dangerous Drugs / Game Capture license. As a qualified veterinarian, Kevin was thrown into the deep end with controlling Hoof & Mouth Disease, as part of the Zimbabwean government’s interest in protecting the country’s beef exports to the European Economic Union. This required an in depth engagement with the Hoof & Mouth Disease host, the Southern Buffalo (Syncerus Cafer Cafer) that frequently entered the local commercial farming and ranching areas. 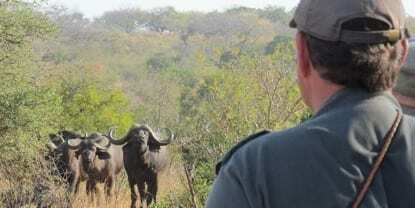 All aspects of the African buffalo were to become Kevin’s fascination – resulting in two books being authored on the subject, Nyati and Africa’s Most Dangerous. Kevin is considered to be one of the world’s foremost authorities on these formidable black bovines. Kevin’s buffalo fascination ultimately lead him to taking his Zimbabwe Professional Hunters license, and together with his wife Catherine starting a successful safari outfitting company specializing in high-end dangerous game hunting safaris in Zimbabwe’s Zambezi Valley. As the only Zimbabwean veterinarian who was also a licensed Professional Hunter, Kevin has been uniquely qualified to provide precise guidance on effective hunting procedures. This position lead Kevin to author The Perfect Shot, a best seller, which has since been expanded to The Perfect Shot II and various mini, pocket versions. These books provided Kevin with an opportunity to share insight on his extensive firearm and ballistics knowledge. The well-known Swedish ammunition maker, Norma, launched their successful African PH line of high quality big bore rifle ammunition, with Kevin “Doctari” Robertson as its brand ambassador. Under the banner of “Ask Doctari” Kevin also penned for a good few years a popular ‘Question & Answer’ column for the outdoor magazine Sports Afield. This eventually lead to a “Doctari On Africa” column in this magazine which kept readers abreast with current hunting and conservation matters in Africa. The Robertson family and their Zimbabwe farm were eventually to become victims of that country’s disastrous land reform policy – and after being displaced they relocated to South Africa where Kevin remained involved with wildlife management, developing game ranches in South Africa, Botswana and as a wildlife consultant in Namibia. For the past 4 years Kevin has headed up the Sustainable Use & Field Guiding department of the Southern African Wildlife College where together with his lecturing duties he is the college’s veterinarian. He also manages a rhino-monitoring program where the rhino’s which occur naturally in this area are darted, ear notched, micro-chipped and subsequently monitored. Safe travels to the “Lone Star State” Kev and Cath (aka 5H). We wish you both the very best in your new venture.